PUBG is a new upcoming and trending mobile game which is love by many game fanatics. This is a multiplayer survival game that is based online. Its first release was only for computer and Xbox. Meanwhile, late last year, its mobile version was first released in China and said to be released soon in North America. That being said, many game players are so excited about it. However, many gamers would love to play it on a bigger screen. Luckily there are many solutions for this problem. 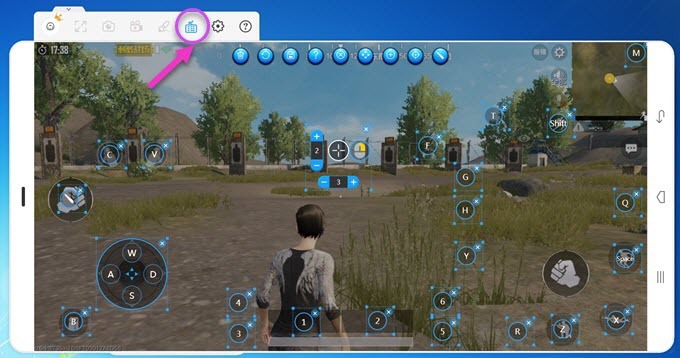 In this post, you’ll be able to know how to play PUBG mobile on PC with the help of the different third party tools. ApowerMirror is an application made with the purpose of mirroring your phone to the computer. This great tool is compatible with iOS, Android, Mac and Windows operating system. Via the utilization of this app, you can take full control of your phone with your mouse and keyboard. Furthermore, you can also record your screen while playing PUBG on it. Besides, you can also take screenshots of the screen if you want to anytime during your gameplay. In case you feel like discussing it with friends, you can also use its white board function. 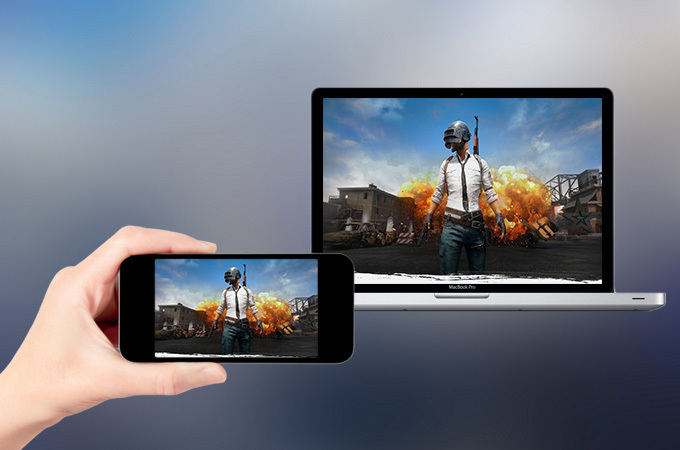 Here is how you mirror PUBG mobile to PC using this professional tool. Download the app on your phone and PC. Launch the application afterwards. For iOS: You can just use its “Screen Mirroring” function from the Control Center. Just simply scroll up on the menu and click the “Screen Mirroring” option. You’ll find an available connection then. Click on it and you’ll be connected instantly. For Android: You can connect your phone via USB cable. Or you can also use its WiFi feature. Once connected, you’ll see that your phone’s screen is now being mirrored on the PC. At this point you can use its other features by hitting the buttons on the right part of the interface. Besides, the new “Game Keyboard” feature allows you to play mobile game on the computer using keyboard conveniently like an Android emulator. Drag the icon to target or direction control area and edit key mapping, then you can tap the key to take action or move. You can set the keys as you like and next time you can continue to play the mobile game using the virtual keyboard. Your settings will be remembered. 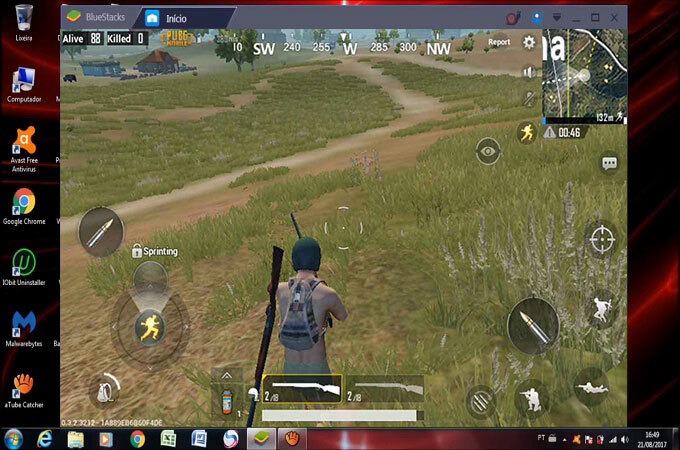 Another tool that you can use to play PUBG mobile on PC is BlueStacks. This tool is an Android emulator which lets you imitate an Android screen on the computer. 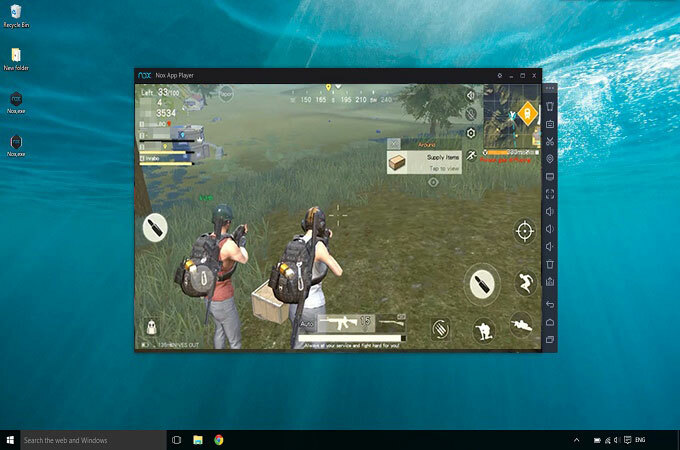 With the help of this application, you’ll be able to run your Android apps on PC just like the PUBG mobile game. Below you can read about how you can use it. Download the app and the PUBG apk file on your PC. Go to “My Apps” on the program and then click the “install apk” button that can be found on the bottom right part. Open PUBG in BlueStacks and then log in your account. Enter your log in details afterwards. Go to the Settings and then click on display and set the aspect ratio to “System Default”. Set the DPI to high and then click on “engine” and set it to Open GL. Afterwards you can choose the CPU cores and RAM and exit settings. You can now start palying the game. 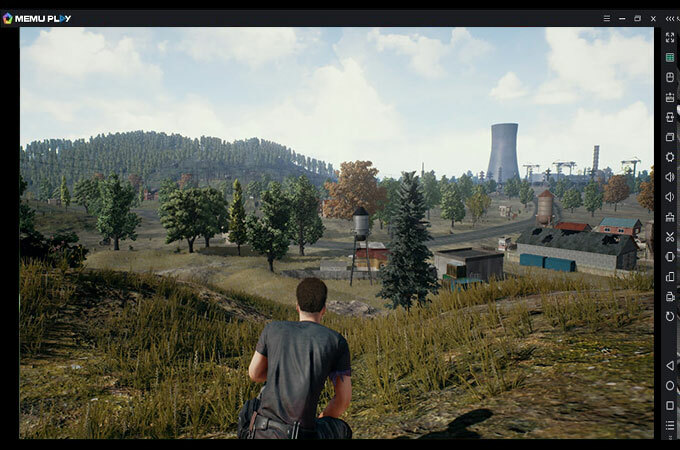 Nox App Player is another emulator that is designed to be used to play PUBG mobile on the computer. It provides full Android feature experience right in front of your computer. Here are the details about how you can use it. Download the apk file of the PUBG game and then launch Nox App Player. Download and install MEmu App Player on your computer. In MEmu, install the apk file of the PUBG. If you don’t have any, feel free to download it first. Once installed, you’ll see it in the home screen. 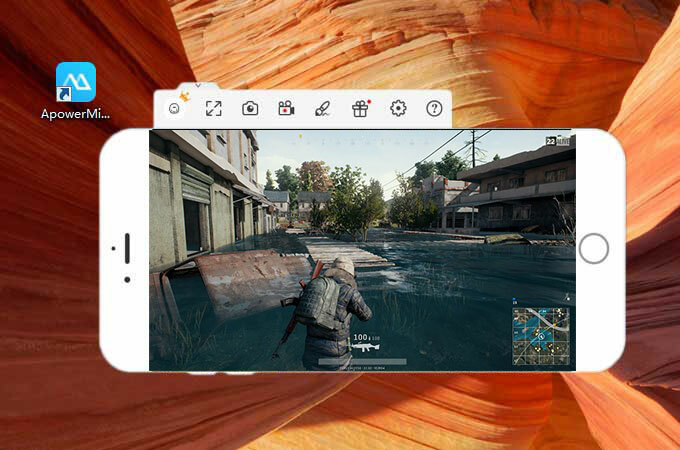 Just click it and you may now start playing PUBG mobile on your computer. That sums up the best tools that you can use to play PUBG on your PC. You can decide which tool you can use. You use the emulators but the process seems to be complex. However, if you chose ApowerMirror, it will become quite easy to navigate and it has other more functions than simply mirroring and controlling Android device on PC. Rating: 4.4 / 5 (based on 75 ratings) Thanks for your rating! Nice post bro. I really like PUBG Mobile and would love to play it on my Laptop. Dear Abduoo, please be noted that in order to use the keyboard function of ApowerMirror, the connection method must be USB cable. And you can choose both Wi-Fi and USB connection for screen mirroring. If you have any other issues with the program, please be free to reach out! Thank you!